The St. Louis University Board of Regents announced on March 30. 2016 that they had hired Travis Ford to be the next basketball coach for the Billikens. The fans in and around the campus were hoping for more but soon realized he may be the best man at the right spot. When Ford went off to college in 1989-1990 and attended the University of Missouri after a much heralded high school career at Madisonville High School in Kentucky. He was an instant success at Mizzou and was named Big Eight Conference All-Freshman team member. Ford longed to play for the team he always grew up cheering for, the University of Kentucky. He transferred and per NCAA rules sat out one year before playing sparingly his sophomore year for the Wildcats. The next two years were a success for Travis Ford as he set school records in single-game assists (15), single-season three-point field goals (101) and consecutive free throws made (50). Ford was named to the All-SEC team his junior and senior years, and was recognized as the Southeast Region’s Most Outstanding Player in the 1993 NCAA Tournament. After graduation from college, he wanted to coach but things weren’t developing as quickly as he wished. He accepted a position at Campbellsville University and his best season was 28-3. He moved to Eastern Kentucky in 2000 and built that program to a pinnacle, In 2005, his team played his alma mater, Kentucky in the NCAA and valiantly fought but lost 72-64. His team was 22-9 and champions of the Ohio Valley conference. He moved to UMass and coached from 2000-2004 and reached the NIT finals before losing to Ohio State. 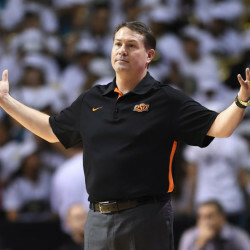 He became the head coach for the Oklahoma State Cowboys in 2005 and remained there until they mutually agreed to part ways after a disappointing 12-20 in the rigid Big 12 Conference. What the biggest benefit for the Billikens will be his ability to recruit players. He has had several players move to the NBA and he is consistently getting top high school players to play for his teams. Marcus Smart and Markel Brown are some of his prized recruits along with Gary Forbes. He knows how to get the job done and will bring in tireless recruiters to hone in on the St. Louis Billikens. It is an exciting time for Billiken fans. It may take a few seasons but look for Travis Ford to jump the line and bring proud basketball back to the folks in St. Louis. On March 18, 1881, early in a special session called to consider nominations received from newly inaugurated Republican President James Garfield, the vice president’s hands trembled as he reached for the roll-call-vote tally sheet. In a Senate Chamber packed with senators, House members, and even the chief justice of the United States, Republican Vice President Chester Arthur announced the result of a vote to select a Republican slate of committee chairmen and members. Those in favor: 37; those opposed: 37. When the vice president cast his tie-breaking vote in favor of the Republican slate, the chamber exploded in volleys of cheers and boos. The triumphant Republicans then moved to elect a secretary of the Senate and sergeant at arms. 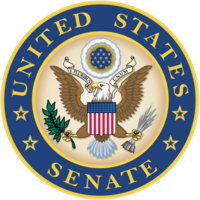 At this point, a newspaper correspondent observed that the Democratic senators “were not in a hilarious mood. Their countenances were those of mourners at a funeral. Behind their desks was a grim row of clerks witnessing with solemn interest the proceedings that would deprive them of snug positions.” With the Senate equally divided on organizational questions, the Democrats had hoped to strike a bargain. While grudgingly accepting a one-vote Republican margin on each committee, they insisted on retaining the officers they had selected when they controlled the Senate of the previous Congress. The Republicans refused to negotiate. The resulting stalemate disrupted Senate business for the next two months. With several Republicans absent due to illness, the Democrats were able to stall a vote on the staffing issue by leaving the chamber each time Republicans tried to muster the majority quorum necessary to conduct business. Soon a split developed within Republican ranks over Garfield’s nominee to fill a key New York City federal post. Both of New York’s Republican senators opposed that choice and were angry with Garfield for ignoring their views. In a tactical move, they dramatically resigned from the Senate, expecting that their state legislature would soon reelect them and thereby send the White House a message about their political standing within New York. The Republican resignations gave the Democrats a two-vote Senate majority. But in the interest of wrapping up the deadlocked special session, Democrats agreed not to reopen the issue of committee control. In return the Republicans conceded the staffing issue—at least until the next session. Within months, however, the assassination of President Garfield dampened any desire for further battles over the management of this closely divided Senate. On this date in 1766: Great Britain repeals Stamp Act. This teapot had something to say about it. Happy Birthday to Grover Cleveland, our 22nd & 24th president (1885-1889, 1893-1897), born on this day in 1837.